Founder Blair Boone-Migura celebrated Jessye Norman's Birthday September 15th with excerpts from Norman’s recordings of Spirituals; Lieder of Schubert, Brahms and Strauss; mélodies of Berlioz, Duparc and Poulenc; jazz, American Songbook and operatic aria performances from her illustrious career. 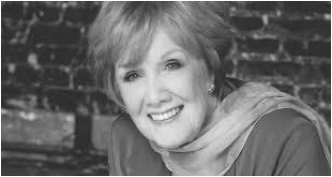 Marni Nixon Memorial: Best known as the "Voice of Hollywood" for dubbing the singing voices of leading actresses in films, Nixon was in her own right a wonderful singer of the American song book, art song, and cabaret. ​She passed away on July 24, 2016 and was one of ASPS’s cherished Advisory Board members and master class guest artist over the years.